The IBM Option 3303 with part numbers 85Y6187, 2076-3303, ST33000650SS, ST3000NM0023, HUS723030ALS64 & HUS724030ALS64 is a 3TB 7,200K RPM SAS hard drive for use specifically with IBM Storwize V7000 and Storwize V7000 Unified Disk Systems. Whether you’re upgrading your IBM enterprise storage or simply looking for a replacement hard drive, we have what you need. If you don’t see the part listed that you’re looking for, please use our Contact Us form; as we have many parts in inventory that are not listed. Please note that all IBM hard drives sold by SPS Pros are used / refurbished, fully-tested, and backed by a 60 day warranty. 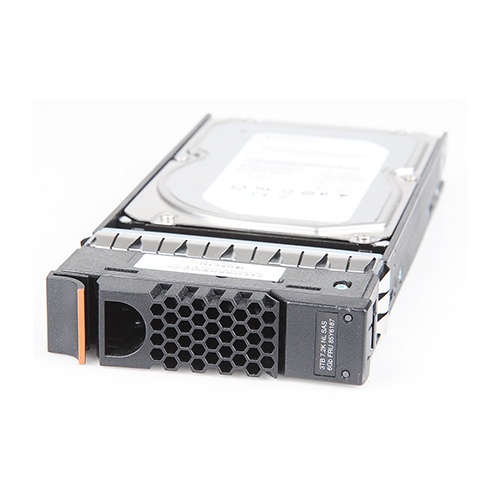 The IBM 85Y6187 3TB 7.2K SAS HDD is also known by part number 2076-3303. This is an optional feature for a single SFF 3tb 3.5-inch disk drive with 7.2K RPM speed to be installed inside either a 24-bay IBM Storwize V7000 Control Enclosure (2076-124 or 2076-324), or a 24-bay IBM Storwize V7000 Expansion Enclosure (2076-224). This feature may be ordered during an initial plant order or as a field (MES) order in any quantity from 1 up to the 24 total intermixed drives allowed within the enclosure. IBM 85Y6187 drives use a dedicated load/unload zone at the outermost radius of the media to eliminate the possibility of destroying or degrading data by landing in the data zone. The heads automatically go to the ramp load/unload when power is removed from the drive. An automatic shipping lock prevents potential damage to the heads and discs that results from movement during shipping and handling. The shipping lock disengages and the head load process begins when power is applied to the drive.